In Taiwan, students have taken over several chambers of the parliament building, and at one point, tens of thousands were protesting in the streets. The triggering event was a proposed trade deal with mainland China, being pushed quickly through the legislature. Taiwan broke away from China several decades ago, and the latest move by the government seems to push Taiwan closer to its northern, communist neighbor. Ketty Chen, a visiting Professor at National Taiwan University, says students also fear that a freer trade environment will allow China’s large businesses to swamp Taiwan’s small businesses. Chen says 85% of Taiwan’s companies are "micro-enterprises," with less than five employees. "[Taiwan’s] scale is much smaller than Chinese enterprises." Chen has been following the protests and blogging along the way. The student frustration, she says, has been building and is complex. "You cannot just say these are anti-free-trade protesters." The students are also "citizens who are extremely concerned with Taiwan’s democracy being infringed upon." Earlier this week, police fired water cannons on protesters and injured hundreds, but the protesters remain inside the parliament building. And the students are well organized. They are sending out live-streamed video feeds in Chinese and English and updating blogs to keep the world informed and keep fellow students on message. "The occupation of the legislature was seen as the last straw," says Chen, "as the national Chinese leaders unilaterally announced that the service trade agreement had been reviewed and sent to the floor for voting, [so] the students came out and they thought that this was the direct infringement of Taiwan’s democracy." 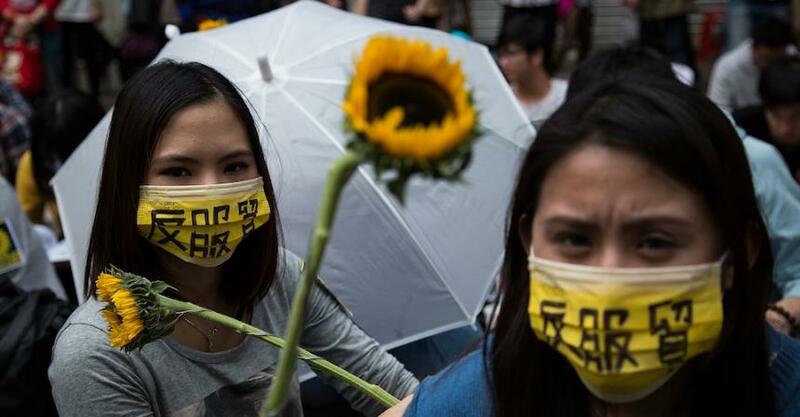 The students are calling their protests "the sunflower revolution" — the flower is a symbol of hope. Taiwan’s President Ma Ying-jeou has offered to meet with the student protesters. 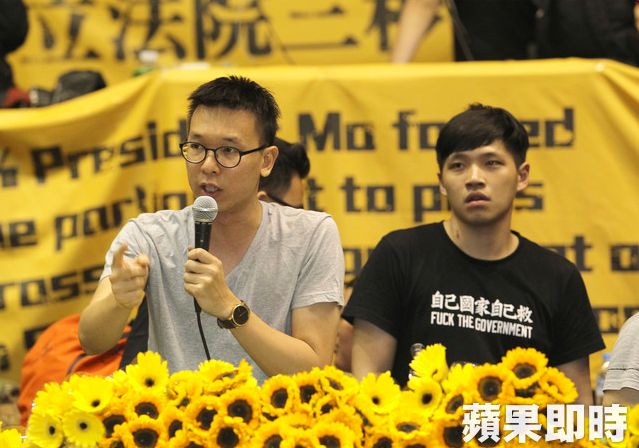 "The government is trying to resolve the problems and trying to make amends with the students," says Chen, "but right now, the students are saying that the government was insincere" and didn’t provide details for holding serious talks. With many students involved in the protests, university life has been disrupted. Chen says some professors, particularly in the social sciences, are supporting the movement. Others see it as a teachable moment and have moved their classes to the scene of the demonstrations. "Fifty-two university presidents signed a petition urging the government to resolve the issue with the students," Chen notes, "[while] also calling on the government to respect Taiwan’s democracy and the students’ right to protest." She says she has no idea how long the protests and impasse may last. Jaimee Haddad is an intern at The World.